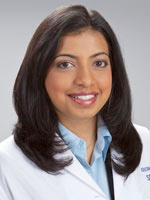 Dr. Bhargava is a member of the American Society of Clinical Oncology and American Society of Hematology. She was awarded the Best Teacher Award during her residency at the University of South Carolina, where she also served as Chief Resident. Dr. Bhargava currently lives in Athens with her husband and children. In her free time, she enjoys travel, swimming, music, and photography.